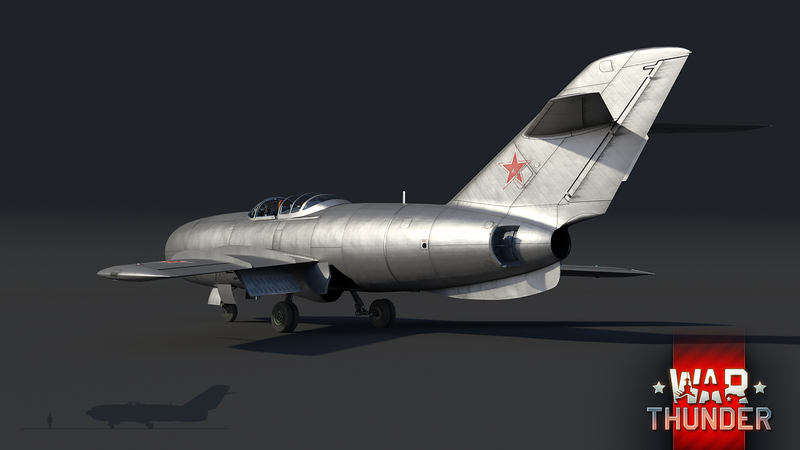 The La-200 is a Soviet prototype jet interceptor that was developed to carry a new type of radar system. Although just one of several competing designs, the La-200 was never mass-produced. 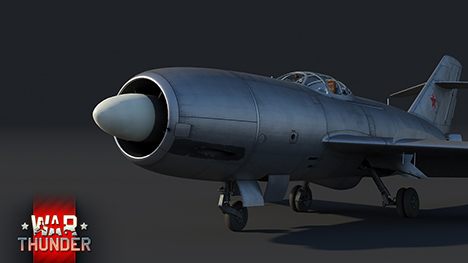 But now, War Thunder pilots will be able to prove the merits of the La-200 when it soars into War Thunder with update 1.77! 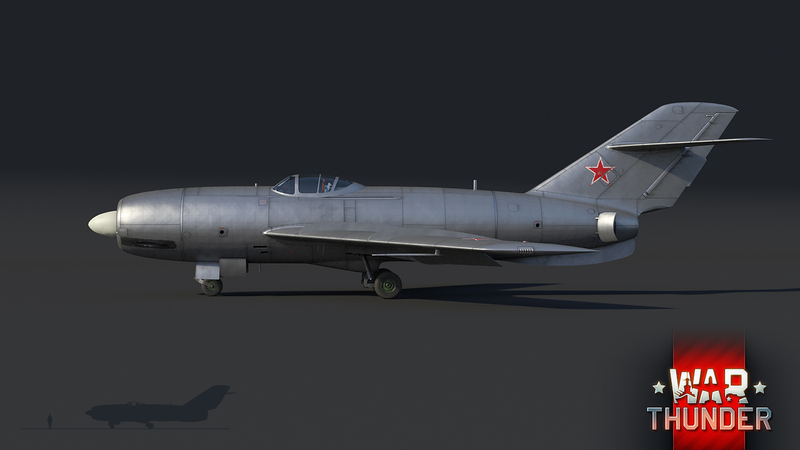 In War Thunder, the La-200 will become available as a rank V jet fighter in the Soviet aviation research tree. 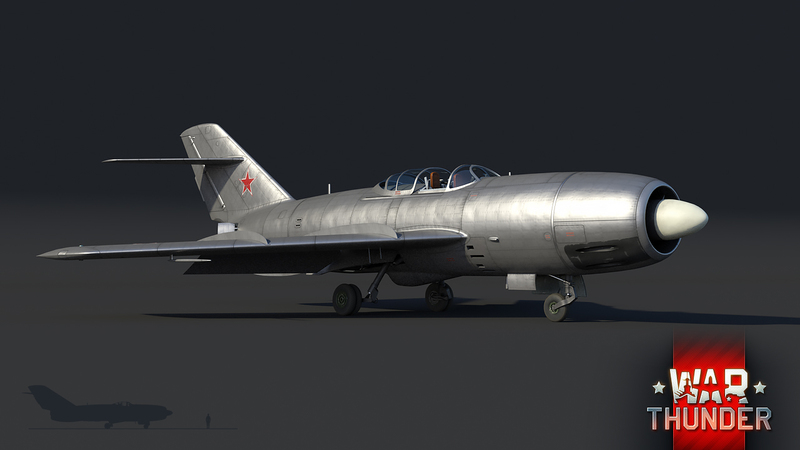 Although the La-200 never left its prototype stage and didn’t see active service, War Thunder pilots will be able to test this unusual-looking fighter jet against its contemporaries. 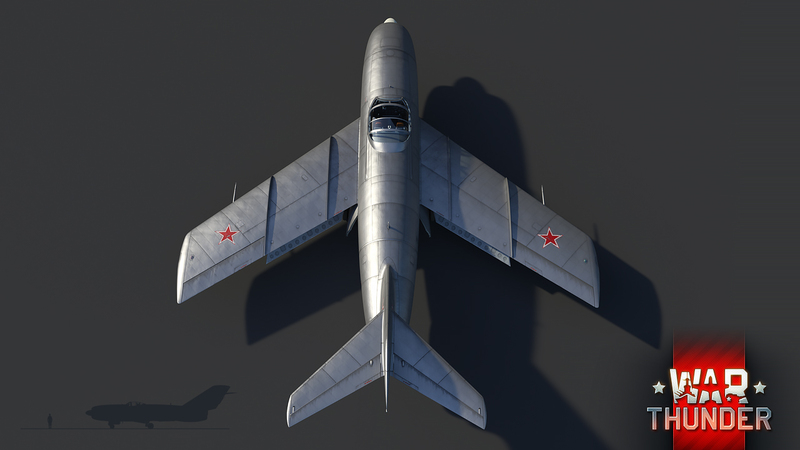 The La-200 has an unusually long fuselage (uncommon for fighter jets of the era) designed to accommodate its two Klimov VK-1 turbojets. One turbojet is mounted on the front of the La-200 and the other is mounted on its rear. An interesting aspect of the La-200 design is the placement of the front engine exhaust, which is underneath the fuselage instead of behind it. Conversely, the rear engine’s exhaust is fitted directly behind it as is more common for fighter jets. Regardless of its unusual design characteristics, the La-200’s dual-engines enable it to reach speeds exceeding 1,000 km/h! In addition, the La-200 was well-armed. Three 37mm N-37 autocannons were installed in the nose section—two on the right-hand side and one on the left. With such heavy armaments even a short, well-placed shot is more than enough to send an opponent spiraling to a fiery doom. However, there’s a price to pay with such high-caliber weapons: limited ammunition. Don’t shoot carelessly. Make every shot count! 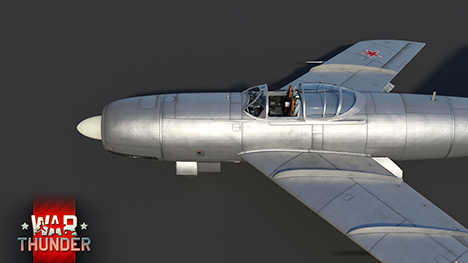 The La-200 is on final approach and expected to arrive in War Thunder 1.77 update. Stay tuned to find out more. Until then! So thousands M8 Greyhound were built and it is still a rare event premium vehicules in WT, one La-200 was built and it's in the regular tech tree, seems legit. The M8 Greyhound is not a particularly useful and does not really have a completed suited place in the tree. The US tank tree is hardly lacking in content and more will come, however when it comes to having event vehicles that providing something neat and cool that players want, the M8 found its place. The La-200 is a more general use vehicle that can quite nicely slot into the main tree. Well, not like the Greyhound was very hard to get. I dont think we made promises for the He-177 for any spesific update. It will come for sure, but we didn't promise a spesific date or update. Smin1080p, But you know He-177, 1.77. I mean it would be a great opportunity to add that plane in. Just like LeRat67 said, there was ALSO over 1000 Greif bombers, still you add the La-200 where only one was made. One? As far as I remember, there were two or three modified many times. Yup, two La-200 and one La-200B. My source is "the complete book of fighters, an illustrated encyclopedia of every fighter aircraft built and flown" (quite an extensive title, I know..). They are working on all those things. Just be patient. They literally recently said they are working on the Italians and we don't need more P-47s as we already have 5 in the game. "we have ambitious plans for italian air force"
It would be good that you can add prototypes of other nation instead of that is Russian every time, thank you. I've said it since I joined this game 5 years ago and still it's true; if this were built by Brits it would have more British planes, same if US, Japanese, etc. They would also, almost certainly, make them a little tougher and more powerful because, well, they don't want to do their own side down. You want fair balance, find a game made in a country with no vested interest. Something tells me that data on Russian vehicles is more easily to come by thus why we see so many additions to that nation. They are still lacking in multi roll aircraft somehow (fighter/bomber). Add in either Japanese or Italian vehicles, and other countries too. The Japanese have not seen a new tank in a while, so give them something, like O-I Heavy tank. The OI Was a prototype and not a single vehicle was ever actually finished. War thunder doesnt add paper tanks. Understandly the La-200 was not used in any role but it was at least built and tested. BRAVO_LCpl_Karma, Except the 10.5 KT and the Panther II.